Within ArtReefs project, a WebGIS application will be developed and tested as support to stakeholders when making decisions concerning the deployment of Artificial Reefs. The starting point is the GeoReference Interactions Database (GRID), an already developed web-based and flexible database connected with a number of tools to analyse spatial interactions between coastal activities. 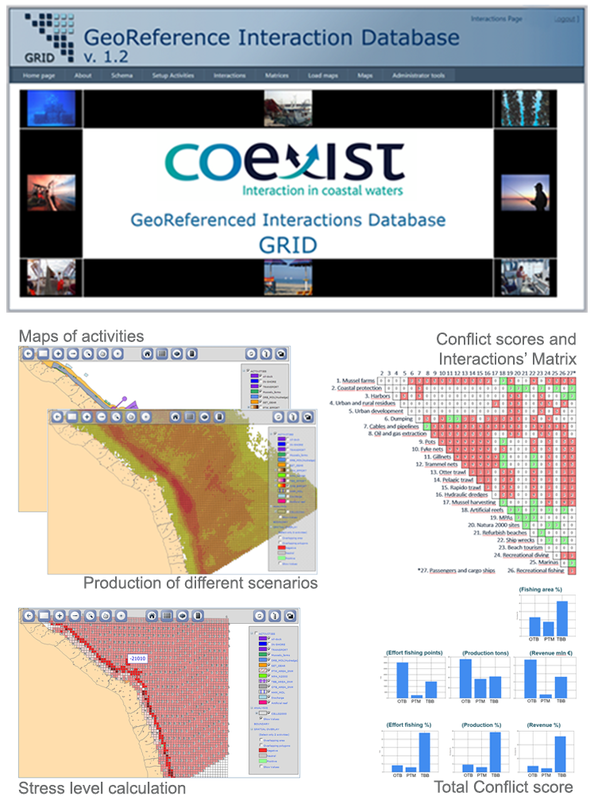 Developed in the framework of the EU project COEXIST, GRID allows to fix and describe conflicts and synergies in a database, to calculate conflict scores and represent them on maps and matrices of interactions. GRID has a dedicated GIS application to analyse spatial distribution of present and future activities (fisheries, aquaculture and other activities), interactions (existing and potential synergies and conflicts) and compare stress levels from different scenarios. ArtReefs project will provide for the development of a new version of GRID that will additionally include environmental as well socio-economic considerations enabling stakeholders to assess the suitability of specific scenarios for multipurpose Artificial Reef deployment and to support, in relation to these scenarios, the management and enhancement of fisheries, tourism and economy in general. GRID will be tested as a pilot with data of the Adriatic Sea and Bulgarian Sea coast.